The Jussie Smollett hoax is just one of many anti-Trump stories that have been enthusiastically promoted by the far left media. Those paying attention have long known how the Establishment Media has been creating news instead of reporting it. 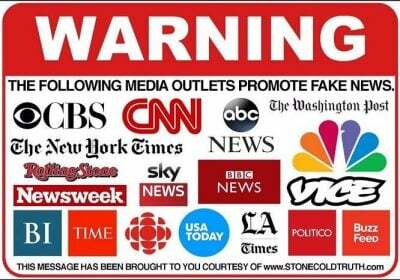 If anyone attempts to tell you different just share with them the following list of media-driven hoax examples since President Trump was elected.